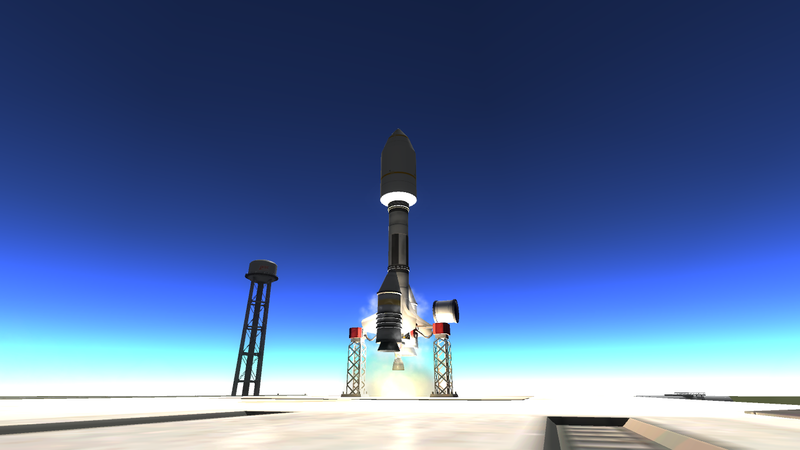 A mod rocket called CivilianSat Mk1. Built with 46 of the finest parts, its root part is probeCoreOcto. This craft was built by a civilian who wanted to build spacecraft - his craft was the very first civilian spacecraft to orbit Kerbin. 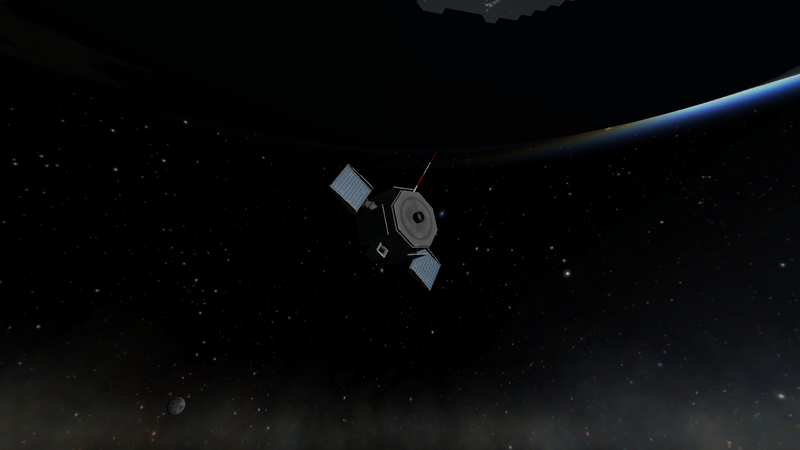 Tweakscale is not necessary for the craft and does not affect your save in anyway. This is the Forum Page for the idea of this craft. http://forum.kerbalspaceprogram.com/threads/106054-Kerbal-History-X/page2 Kerbal History X is a very interactive Kerbal Story telling thread on the forum - make sure to bookmark it and check up on it every day.